A Belfast Blog was thrilled to meet Dr. Zeynep Bulut. Zeynep moved to Belfast from London earlier this year to take up post as Lecturer in Music at the Department of Music and Sonic Arts Research Centre (SARC), Queen’s University Belfast. Four months into her tenure, Zeynep invited us to meet around the sound deck in SARC – the Sonic Lab – where we learned about her journey into experimental music, her book and research, her plans to release an album, her home town Adana, studies in Istanbul, San Diego, California, Berlin, London and… Belfast. The room we’re in is isolated from the outside world. It’s a sound cube; the walls are clad with speakers – high up on the wall, at eye level and, most unusually, visible beneath you, via the metal grate flooring. 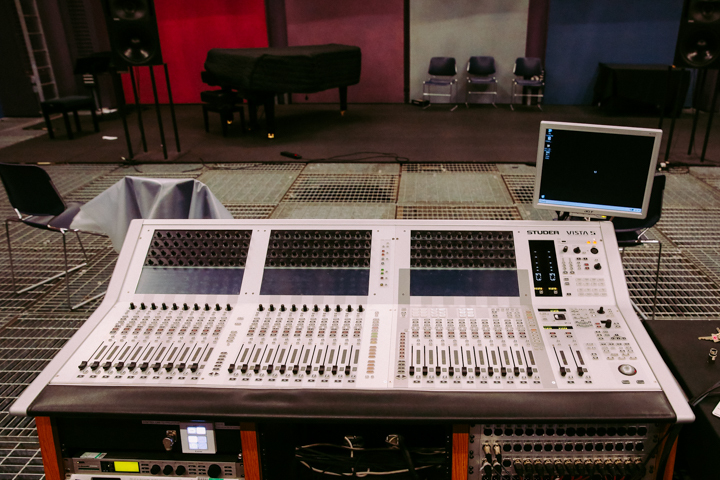 Used for recording, performance and research this is the flagship resource in the SARC building, a facility opened in 2004 incorporating a major ambition to explore 3D sound in music. 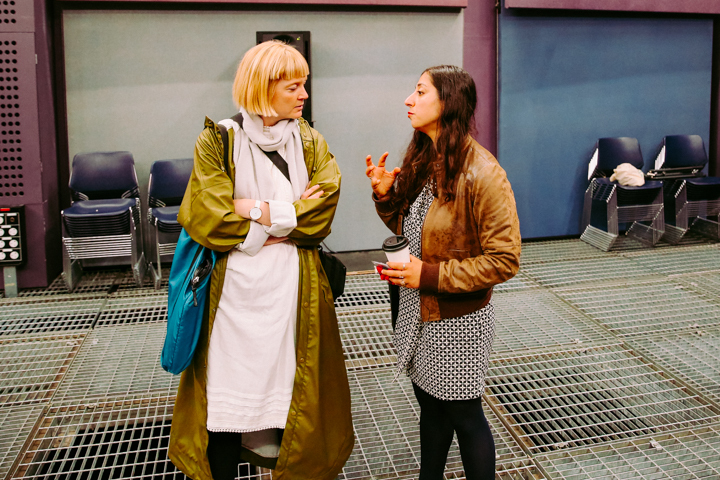 Conceived and subsequently led by Professor Michael Acorn, it is, in Zeynep’s words, ‘a very special facility, well-known within academia and the arts scene across the UK, Europe and the US… and a very focussed platform and unit, which you won’t really come across anywhere else’. The building is quiet on a Friday morning near the end of term, but Zeynep Bulut talks with enthusiasm about the faculty’s active public programme which draws new audiences into the building. There are ongoing research partnerships with organisations (e.g. DTS, Hewlett Packard, the Metropolitan Arts Centre Belfast (the MAC)), higher education institutions (e.g. IRCAM, Stanford University and University of Michigan) as well as relationships with local initiations such as the NI Science Festival and Northern Ireland Arts and Humanities Research Council, and the longstanding annual Sonorities Festival. This is an ongoing project, which Zeynep has developed and reworked during her doctoral studies at the University of California, San Diego, postdoctoral studies at the ICI Berlin Institute for Cultural Inquiry, and her early career lectureship at King’s College London. ‘Given its conceptual patchwork, this book has been a difficult project but the process has been rewarding and enriching; and thanks to my mentors, colleagues and fellow researchers, the book is happening and coming together’ she says. Under the working title ‘Experimental Music and Speech Pathologies’ this project is in the early stages of development. Zeynep’s project builds on the book and intends to contest ‘habituated forms and expressions of speech’. 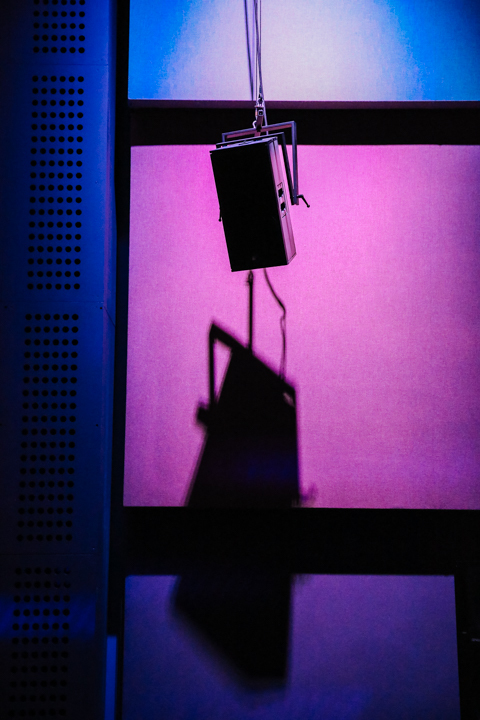 Focusing on the acoustic affinities between speech disorders and the nonverbal voice in experimental music, the project will raise questions about ‘conceptual, historical and empirical configurations of speech disorders and irregularities’. Zeynep highlights the critical edges: ‘This is a collaborative project. We hope to work with music and sound researchers, speech pathologists, music and speech therapists, voice and movement specialists, medical anthropologists and historians of science and medicine. It’s a delicate project… but there may be an opportunity to reach both conceptual and applied outcomes and we are well-placed at SARC to lead on the creative activities’. Although we are excited to hear more about her plans for an album, we first ask Zeynep to tell us more about her journey into music, and her relationship to experimental music. It’s a story interwoven with family life, happy accidents and a dedication to continuous learning. After her BA, Zeynep found herself doing an MA in Visual Arts in Sabancı University. She describes being part of the first cohort of a newly-founded school, with a new programme and a fantastic faculty with staff sympathetic of and encouraging to students from a range of disciplines. It was there that she first learnt about 20th century music history, about sound installations, experimental music and sound art (she wrote her thesis on this). She then pursued advanced studies in contemporary music and ethnomusicology at ITU MIAM, and went on to UCSD for her doctoral studies, where she integrated her background in Critical Studies/Experimental Practices in Music. Zeynep is writing the material for her album. She professes to be ‘no good at lyrics’, but I don’t believe her. She writes poetry, she writes melodies and she misses singing. ‘Singing is part of how I think, and part of how I write about the voice.’ And she acknowledges that this is understood by her colleagues – creative practice is encouraged, and expression not linked to certain categories. Before we chat about Belfast I ask Zeynep about her home town, Adana. It’s the central city of the Mediterannean region of Turkey, in the south. She describes it as unusual in the sense that it’s an inland city with an artificial lake, but an hour east or west you’re at the coast, and notes with a smile the long held association with the kebab. And from Adana she reflects on Istanbul where she lived for nearly 10 years: It’s glorious, it’s hectic, it’s vibrant, it can exhaust you and charm you. I don’t really have the luxury to be in the city as I was when I was living there. I am not able to recognise the city in the same way. It’s different with your home city, there’s a different warmth. When not on the Lisburn Road she’s in the Cathedral Quarter, at The MAC, Queens Film Theatre or the Botanic Gardens. ‘Belfast is a small city. I’m already running into the same people all the time!’ The landscape is beautiful and calming, people are warm, and the city is culturally vibrant in its own scale…….. I’m really enjoying getting to understand a well-rooted local community and being part of an international faculty. Listening to Zeynep, one is struck by the apparent ease with which she has journeyed via so many academic institutions, disciplines and geographies. She has managed to weave these various strands into a rich and unique tapestry stretching from Adana to the Lisburn Road. We can’t wait to see how Belfast will inform and influence her work, and wish her all the very best on this stage of the journey.